Technically, a galley is a compartment on a ship, aircraft, or train used for cooking and food preparations. Designed with efficiency in mind, galley kitchens are typically laid out with longitudinal units and overhead cabinets. Homebuilders have clearly taken notes on the efficiency of galley kitchens, and have used them in residential architecture for many years. Just because a galley kitchen is by definition small doesn’t mean it has to lack anything in terms of functionality or style. 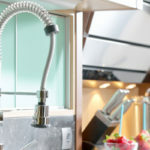 You can transform your galley kitchen into the envy of all of your neighbors with these 10 tips for remodeling the best galley kitchen. Plus, 4 things to avoid with any galley kitchen remodel. 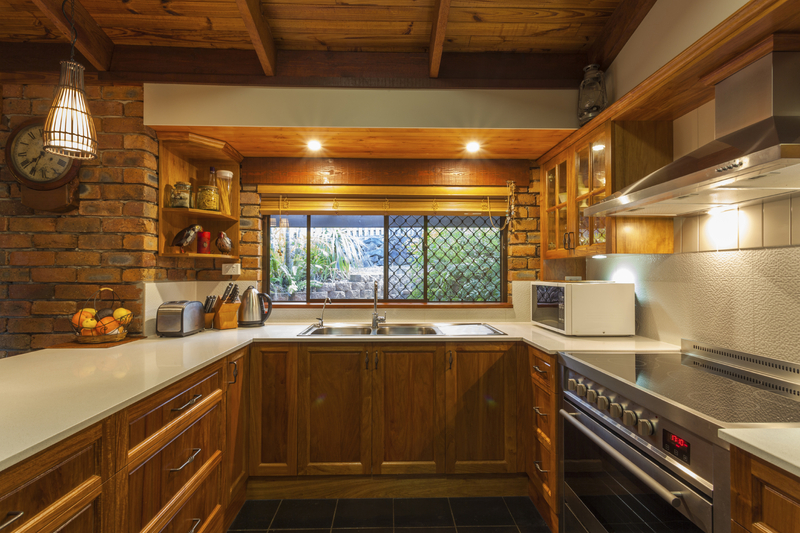 Bigger doesn’t always mean better, and in the case of a galley kitchen there are a number of perks offered by a smaller kitchen layout. For one, you can cook, put away dishes, and clean up without having to walk around a very large area of space. This makes everyday kitchen tasks easier to complete. Also, remodeling a galley kitchen is typically more affordable than remodeling a full-size kitchen. The cost to remodel a galley kitchen will vary considerably depending on the level of improvements you plan to make. 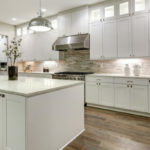 For a full remodel, with new cabinets, counters, plumbing, lighting, appliances and floors the average cost ranges between $34,000 and $39,743. 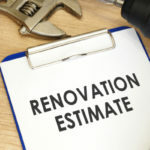 When renovations are properly conducted and in line with the neighborhood, up to 93% of remodeling costs can be recouped in the value of your home. One year after a remodel, you can still see returns totaling up to 70% of remodeling costs. Certain design aspects will help your home value, such as function, appearance, and green rating. Keeping all of these things in mind as you remodel will help you create the best galley kitchen for your buck. One issue with galley kitchens is that they often feel cramped and closed off from everything else in the house. If you have the funds to afford adding a window to your galley kitchen, this can really brighten up the space, as well as make it feel much larger. Adding some open shelving will make a galley kitchen look bigger, as well as offer you some space to decorate with pretty coffee cups or delicate dishes. The one thing you want to avoid with open shelving is creating an overly cluttered look. When a small kitchen becomes cluttered it only looks smaller than it really is. Another option similar to open shelving is glass-faced cabinets, complete with accent lighting. When remodeling a galley kitchen you can help keep things affordable by working with the counter space you already have. If your counters are cluttered with a toaster, microwave, and other appliances it can seem like you have no space to actually cook and prepare food. Chef Michael Lomonaco, a Manhattan resident, was faced with this exact problem in his tiny 7-by-10 foot galley kitchen. Chef Michael came up with the perfect solution to his counter space shortage by installing his microwave over the range stove and moving the sink faucet into a corner. Without changing anything else he was suddenly granted a great deal of extra countertop space. Consider where your countertop appliances, such as the microwave, can be relocated in order to free up more space (see here). Finding a space to store everything in a small kitchen is a task all on its own. When your cabinets are organized and there is a place for everything, the kitchen looks better, feels better, and operates with more efficiency. In order to keep a galley kitchen looking neat and clean you can have cabinets built to look like a wall, but pull out to reveal a hidden world of storage. Functional cabinet space is everything in a galley kitchen, so make the most of the cabinets you install. Pull out drawers allow you to utilize the depth of your cabinets without getting on your hands and knees to dig for the long lost utensils and food products trapped deep in the back. A common complaint in regards to poorly designed galley kitchens is that there is not enough counter space to prep food. An easy way to add more counter top space is to have a pullout cutting board installed just beneath your countertops. This allows you to pull out the board for cutting and food prep, and then slide it back in when you are done, thus giving you more cooking space without consuming any extra square footage. Just make sure that when the board is pulled out there is still adequate room to move about the kitchen. When working with a small space every last detail matters and contributes to the overall look. Adding a nice lighting fixture, such as a pretty chandelier or a more modern light fixture over the center of a galley kitchen can really spruce up the appearance and make the room appear higher end. If you are blessed with a little more space in the width of your galley kitchen you can add a rolling island cart for added cooking space, storage, and style. Just make sure to measure and think it over first, you don’t want to add a center island unless there is enough room for it without it getting in the way or cramping the space. If your galley kitchen feels very closed off from the rest of the house you can add a wall window in order to open it up. You probably don’t want to open up your galley kitchen to a random space in your house, and so this works especially well if one wall is adjacent with the eating area or family room. There are a few things to consider before joining the kitchen with another room in your house via a wall window. For one, tearing down walls usually requires an electrician or plumber, which can cost as much as 25% of your overall remodeling budget. Also, if you take away a portion of the kitchen wall you might have to sacrifice much needed cabinet space. Don’t buy an oversized refrigerator, or any oversize appliance. Perhaps one of the biggest mistakes remodelers make is buying a big fridge to cram in their small galley kitchen. This takes up a lot of space that could otherwise be used differently. Also, it’s common for the fridge door to open up and slam into cabinets if it is too large and not properly fit for the space. Having a really big fridge might seem like a number one priority, but a fridge that has great storage options and actually fits is going to be far more appreciated over time. Keep the dishwasher right next to the sink. In a small kitchen it’s not uncommon for basic kitchen design to go out the window. There might not have been enough room to install the sink by the dishwasher, or maybe someone assumed it wouldn’t be so bad to have the dishwasher on the other side of the wall considering how small the space is. In reality, when your dishwasher is not right beside the sink it’s not only a pain, but it is considered a design flaw. Don’t pick cabinets that are too trendy. Your galley kitchen is small, and every detail matters. If you go with cabinets that are overly trendy they could overpower the kitchen. Plus, since the style of your galley kitchen is predominantly determined by cabinets you could face an out of date kitchen sooner than you’d like. Don’t forget to pay tribute to the kitchen triangle. Kitchen design experts refer to the perfect kitchen design as having a ‘triangle’ shape, which means the parts of your kitchen that get the most action are placed in a triangular shape in order to avoid conflict. The sink, stove and refrigerator are considered the three most important components, along with your countertops. You want to have easy access to all of these areas from one another, hence why it’s convenient to have these main components placed in a triangular space. Remodel your galley kitchen on any budget with a little help from the pros at Tops Kitchen Cabinet. 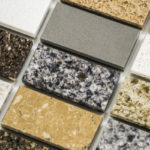 We have a huge selection of cabinets, countertops, and more, all available at wholesale prices.